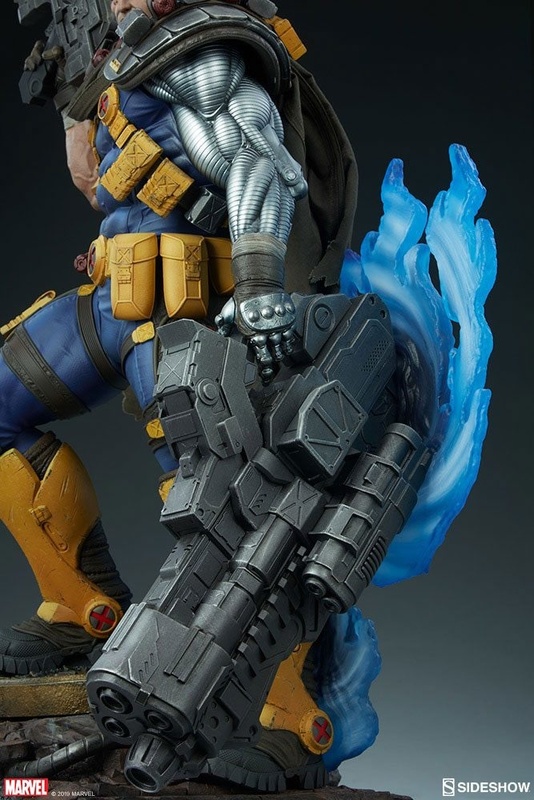 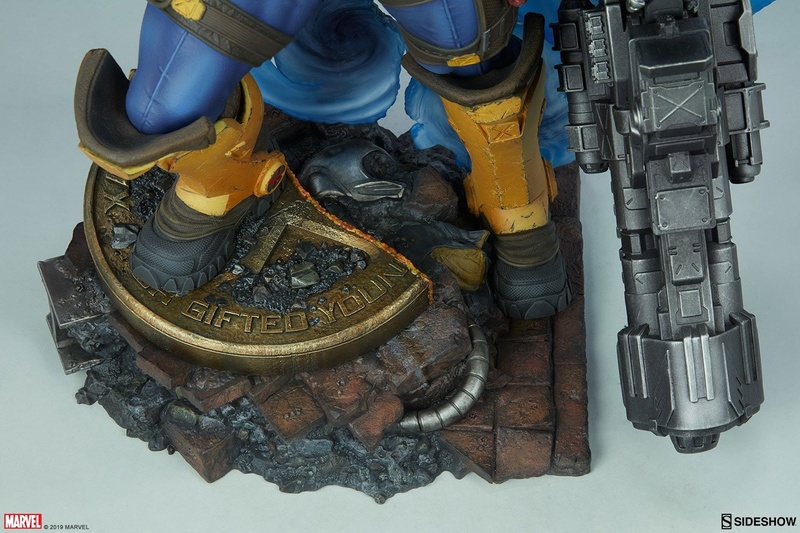 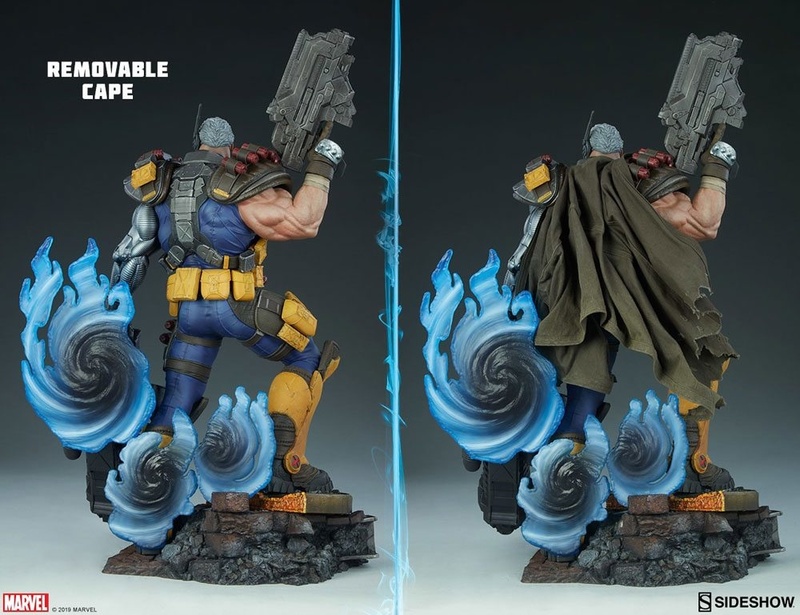 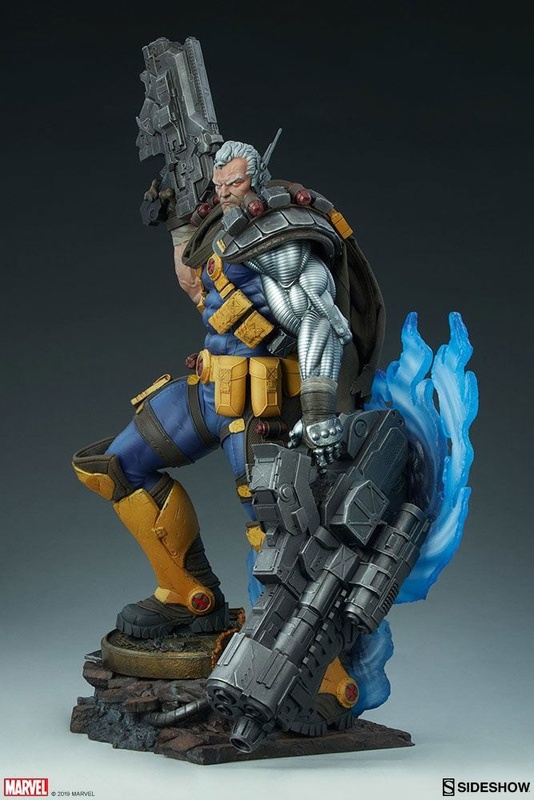 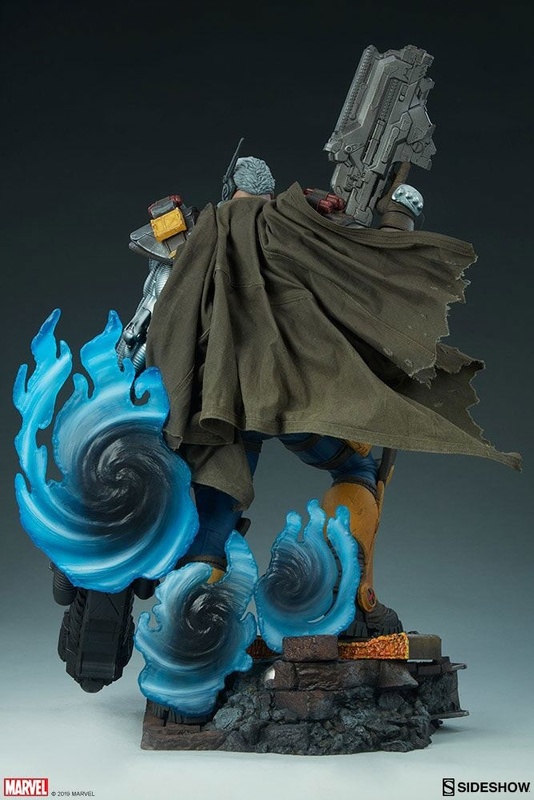 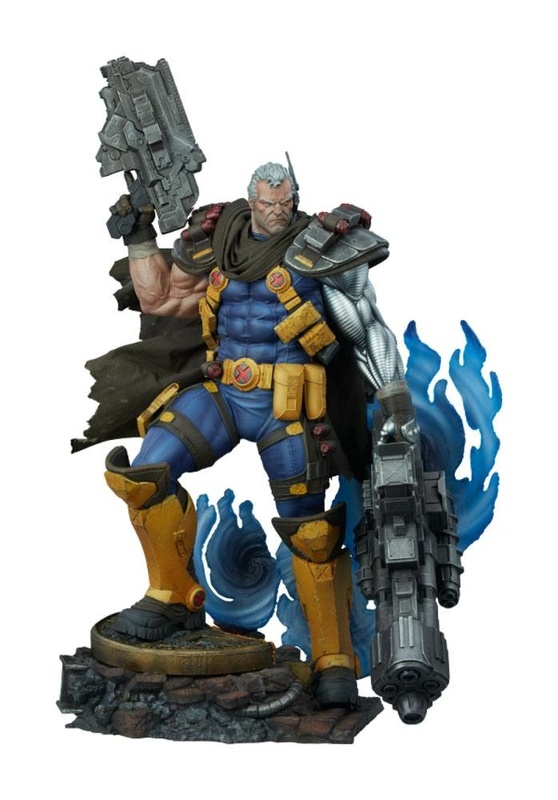 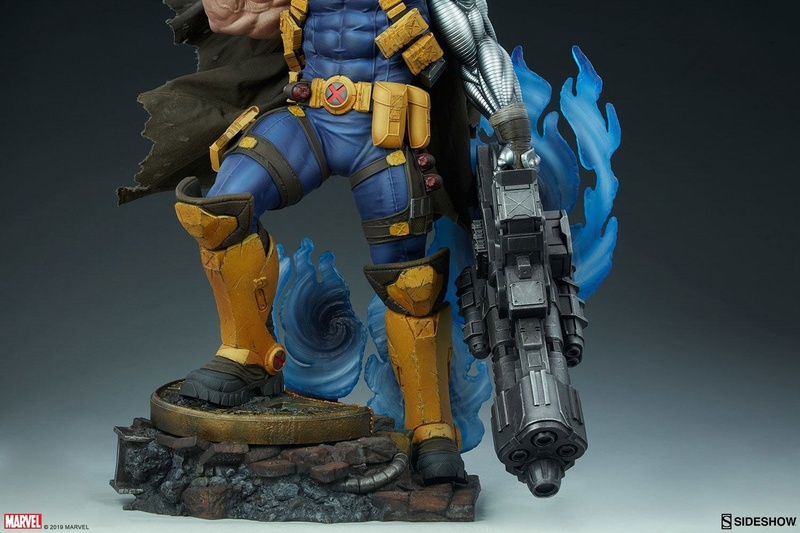 The Cable Premium Format™ Figure measures 24.5" tall as the time traveling mutant warrior emerges from interdimensional portals onto an apocalyptic Xavier's School base. 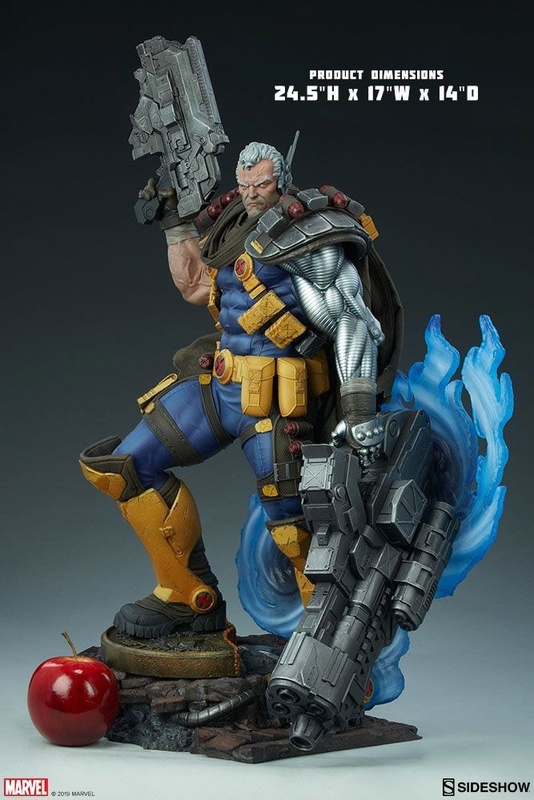 He stands on the destroyed academy seal, while remnants of Cerebro and Wolverine's cowl hide among the rubble. 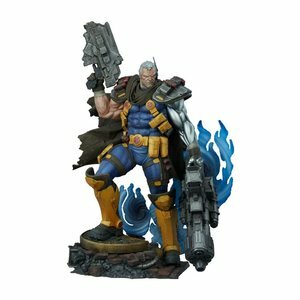 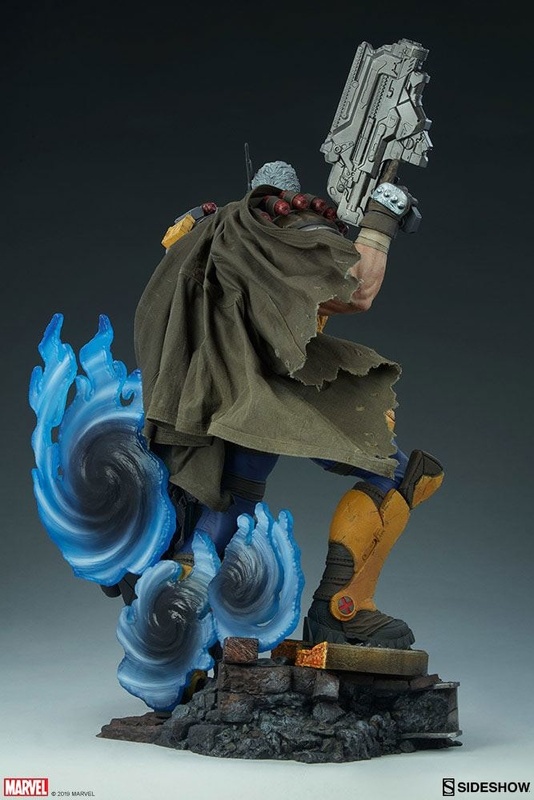 The Askani'Son also includes a removable fabric cape with distressed detailing and internal wiring, allowing you to craft a custom pose this apocalyptic accessory. 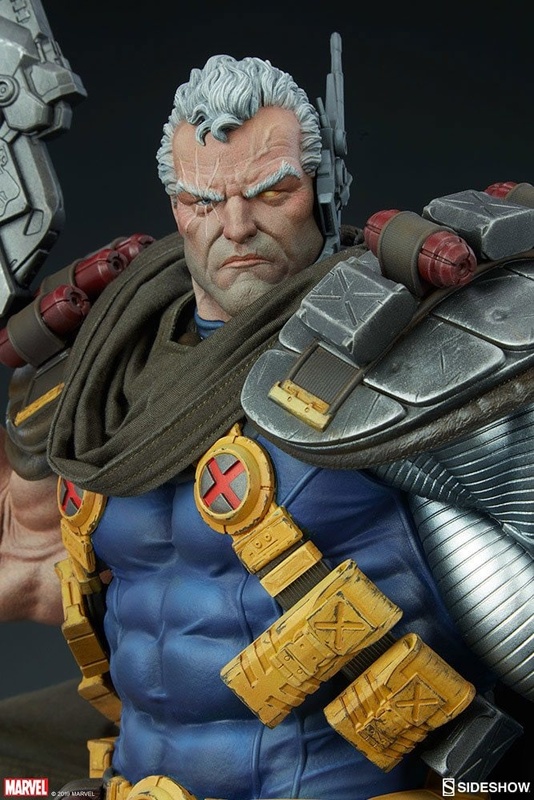 Pair Cable with other members of Sideshow's X-Men Collection like Deadpool, Wolverine, Jean Grey, and more to create your ultimate lineup of mutant Marvel collectibles.